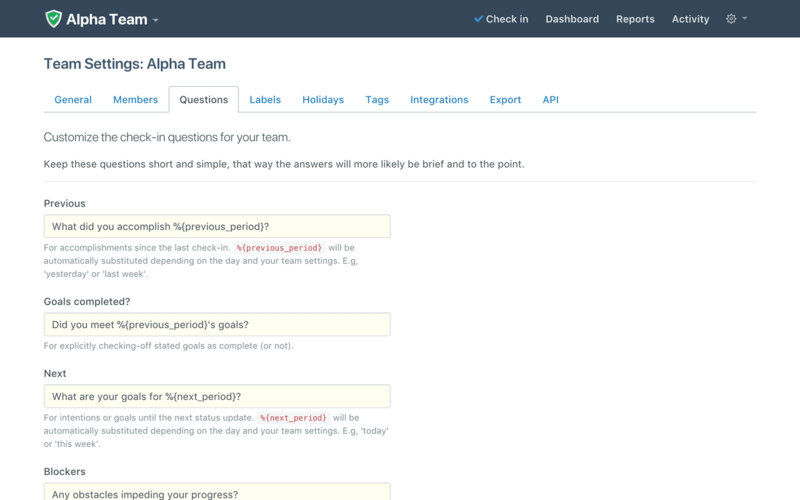 Do you want to customize the check-in questions for your team? Just go to Team Settings - Questions. You can customize and preview each of the 4 available questions.